How can we have more of it in our life? 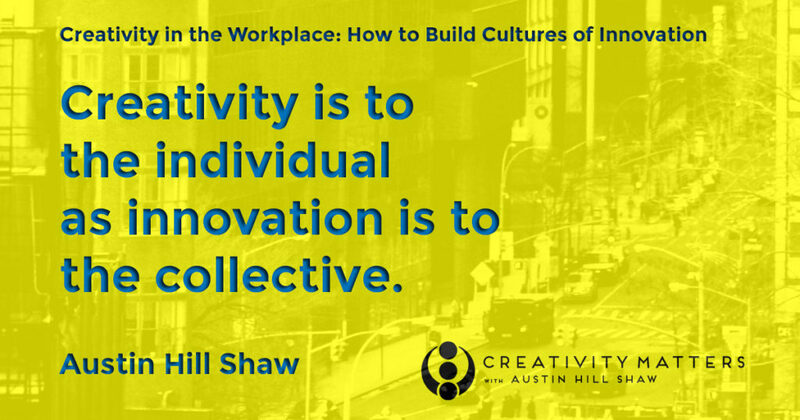 What are the similarities and differences between creativity and innovation? In this post, and in hopes of creating some clarity, I will give you my take on the relationship between creativity and innovation using the 5 questions above as guidelines. 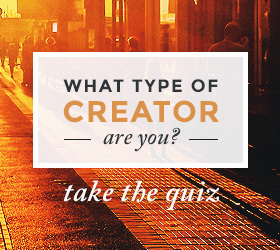 Question 1: What is creativity? 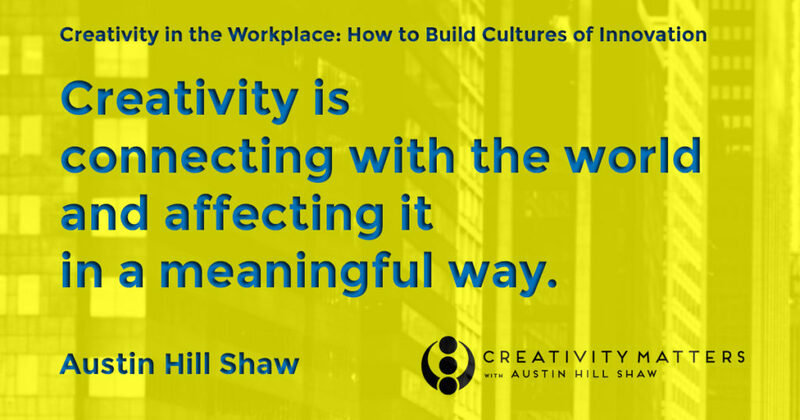 Creativity is connecting with the world and affecting it in a meaningful way. This may, at first, seem like an overly simple definition of creativity. It also may appear to be missing more traditional interpretations of creativity, such as the production of something that is both “new” and “useful”. But it not what we do but how we do it that is the key to creativity. And, as you move forward, test it out. Start to try on this simple but powerful definition in different situation in your life. Question 2: Why does creativity have such universal appeal? Since I believe that creativity is a defining trait of being human, and humankind’s appreciation for creativity is nearly universal, I had a hunch that the definition of creativity had to be universally applicable, which mine is. Another way of looking at this goes like this: because creativity is a defining trait of being human, creativity is not an exotic exception to our lives, but the norm. The reason our own creative experiences and the creativity we witness in others is so appealing because it’s so natural. As a bird is meant to fly and a fish to swim, when we find ourselves creating, we find ourselves in our most natural state, thus creativity’s universal appeal. Question 3: How can we have more creativity in our lives? 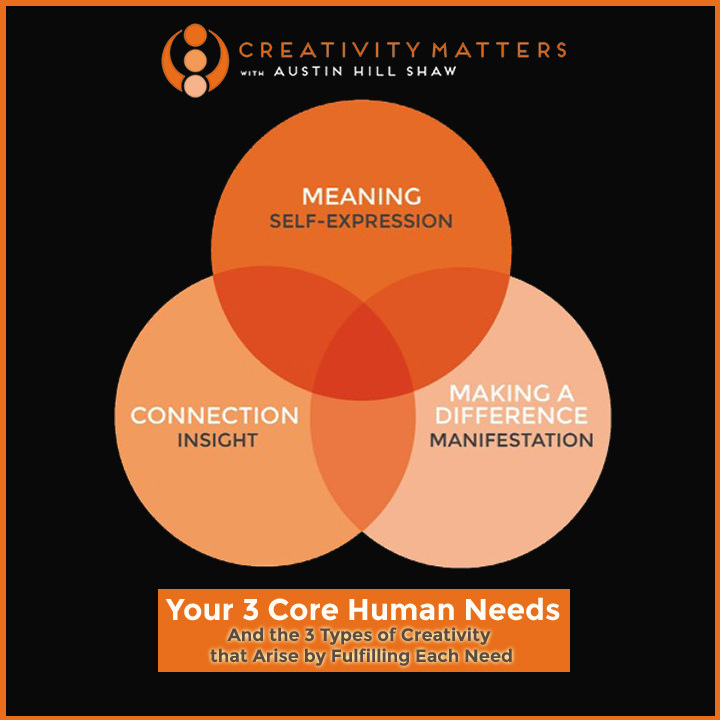 Furthermore, each of the three needs–connecting, affecting (making a difference), and meaning–, give rise to the three principle aspects of creativity which are 1) insight 2) manifestation and 3) Self-expression. Insights are those aha moments that are beyond concept but feel inarguably true in the moment. Manifestation is our all the effort and planning it take to give form to our own or someone else’s insight so that it can be shared with others. And Self-expression, also know as “the zone” or “creative flow” is that celebrated experience of feeling deeply connected while taking action at the same time. How can I connect more deeply to this situation? What can I do to make a difference in this moment? What are those activities that truly enrich my life? When we stop efforting to be more creative and focus on our willingness to recognize and fulfill our core needs, our ability to create arises naturally. Question 4: What is innovation? For me, innovation is creativity with a capital “C”. In other words, innovations are those creations that, for whatever reason, start to have real impact on the world, impacting it either socially, culturally, economically, or all three. In business, innovation results in new and useful products, services, and even ways of being that have the potential to generate increases in revenue and market share for the organizations that develop them. I also believe that in our highly technical, highly interdependent, rapidly changing world, creativity is more to the individual as innovation is the collective. In other words, now more than ever, it is up to teams and ecosystems of creators to come up with truly groundbreaking innovations and bring them to market in a timely manner. 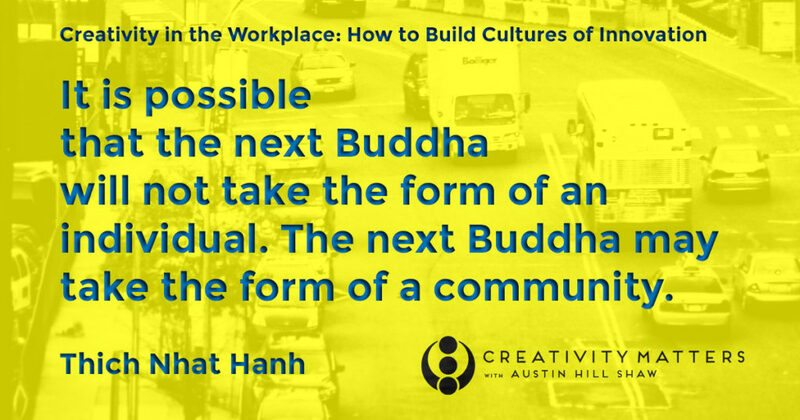 Expressed in more spiritual language, Thich Nhat Hanh had this to say about the role of the collective (teams and teamwork) in the future. It is possible that the next Buddha will not take the form of an individual. The next Buddha may take the form of a community. Question 5: What are the similarities and differences between creativity and innovation? Aside from what I mentioned early, about how creativity is to the individual as innovation is to the collective, there are two more points I’d like to make. Firstly, I think you can have an amazingly creative and fulfilling life without innovating anything. Most of us will NOTcome up with groundbreaking innovations in our lifetimes and that is totally fine. You can still have a meaningful life and serve the world deeply and creatively without having the pressure to come up with something totally new or useful. If it happens, great! If it doesn’t don’t sweat it. 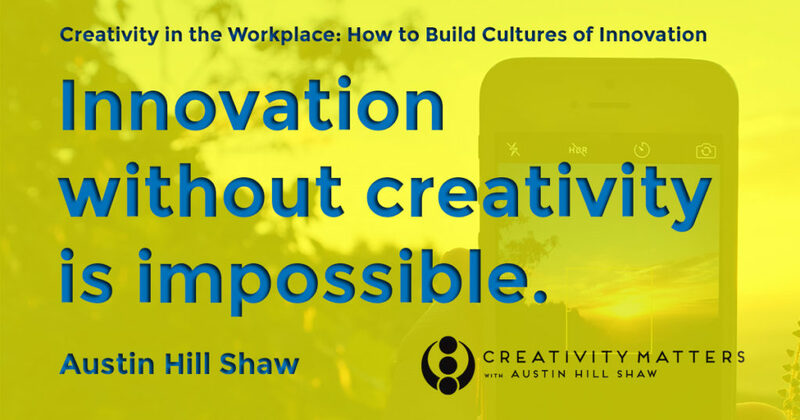 But if you do aspire to innovate, make this your mantra: Innovation without creativity is impossible. Why is this important? It is easy for organizations to want focus on new products, services, and ways of being without paying attention to the conditions that allow such innovations to arise. If you want to have a truly innovative company or organization, you must first work to fulfill the core human needs of your employees and the environment in which they work, which in turn will create favorable conditions for creativity to flourish which, in turn, will lead to the possibility of new, useful, and potentially lucrative innovations. But, as the saying goes, “don’t put the cart before the horse.” If you want to build a truly innovative company, you must first create a foundation that fosters creativity, a foundation that ultimately fulfills our uniquely human need to connect with the world and affect it in a meaningful. 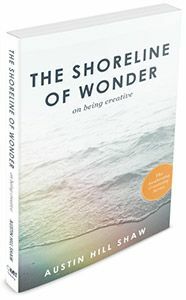 Austin Hill Shaw is the founder of Creativity Matters and author of The Shoreline of Wonder: On Being Creative. He works with individuals who want to unlock their full creative potential and organizations that want to build cultures of innovation. www.austinhillshaw.com. Looking for a life-changing experience? Apply now for this year’s annual Healing and Self-Expression Retreat in the Sacred Valley and Machu Picchu, Peru.